Long shot, but would you be open to recording Amazon/Rakuten rental videos or removing DRM from iTunes music? Not very, sorry. I have no idea how to do that kind of thing and don't think I have time to learn. Can you buy some stuff in Village Vanguard shop in Ikebukuro? They are holding a limited time "pop-up store" from October 20th to November 4th, but the thing I need the most will be on sale only from October 27th, so I guess there's no need to go before that. With every ￥5000 spent they'll give you an event ticket, but I don't really know what to do with them. Just a reminder, but I would like down payments for M3 by the 25th. As well as the Remonglass (last) post, I would like to know the commission and if you could get this item in "Village Vanguard shop", its called "Machigerita Sound Selection", the price of this is 1500 yen. On the website says that the places where you can buy it are in Tokyo, Osaka and Nagoya. It is a limited time object and it's available from now until 4th November. I'm from Mexico (to consider the shipment). I can do the payment from Monday onwards. I haven't had a chance to sort M3 requests yet but I just wanted to mention that I am selling old stock and parts of my collection. 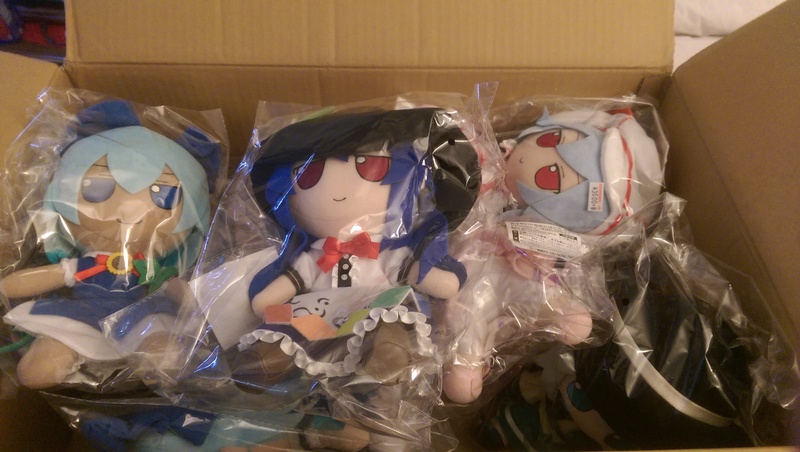 Lots of Touhou and other CDs and some merch like posters and stuff. If you see anything you want, let me know and we'll work out a deal. Posters would have be shipped separately so how about 3500 for them shipped? Without Party it'd be 3000. The VFiS bundle I'd sell at the listed price and throw into the box with the other order. Okay, that all works for me; the shipping plan and including the Party Poster are both good. That looks like it'll be 7000 total, then? If you can confirm that, I'll send it to you when I get home (which admittedly might not be for another 9-10 hours or so). Yes, that's right but don't send the cash right away. I want to wait a couple days to see if there are other offers. If there are none, I'll let you know when to send it. Oh, sure, yeah. Can do! 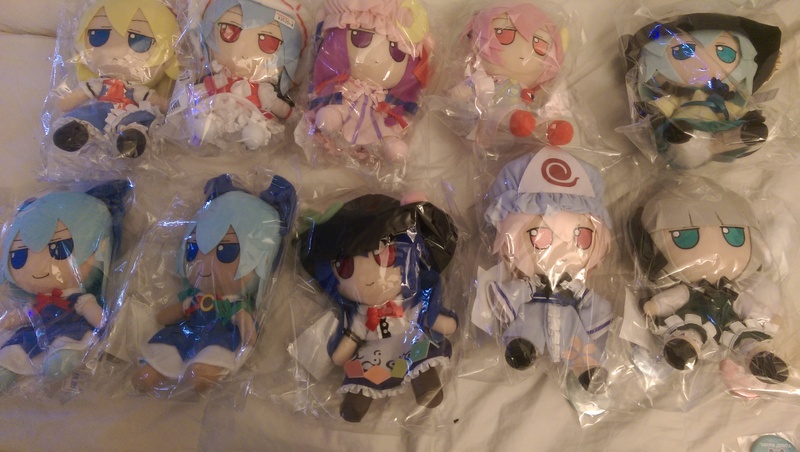 Just a note to inform that my Reitaisai order arrived safe and sound. Thanks again for the service. This is to say that the package has arrived safe and sound! I now own both doujin from shnva and it's really amazing! Man I love that circle... :') So good. Thank you for getting them for me! Real happy with this purchase. The majority of M3 orders have been shipped. 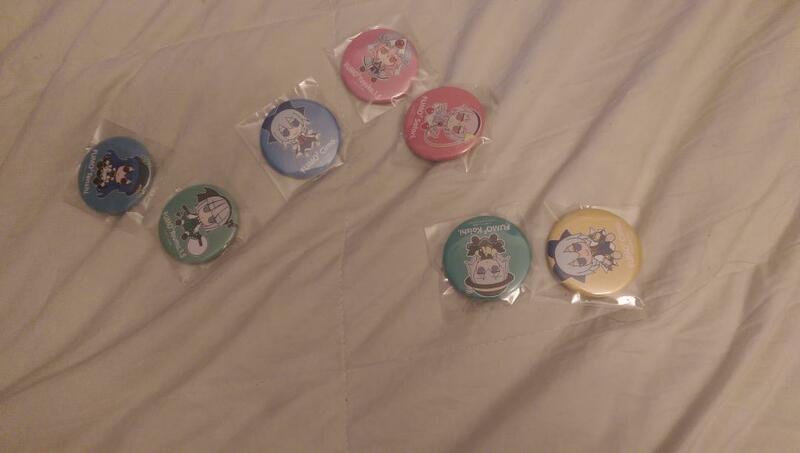 I have also updated my personal sales page of stuff, taking out what items have been shipped and adding a bunch of Yuuhei Satellite CDs. So I feel like a massive idiot for forgetting to check this until now, but it looks like group behind the 2018 Aya calendar has put one together for 2019. Can you pick one up for me and send it out with the second batch of things that I requested, given you've already shipped the first batch? Yay!! I was going to pick one up for Comiket. I loved my 2018 one! Just to make it clear, there's no jazz/tanigon on any of them in case you might have that impression. Been quite a while since I last made a request. Could you give me a quote for all of these, please? Shipped SAL registered to the UK. The second two of these are pre-orders, but please order them all in one go, anyway, as that way postage is free (over 6,000 yen). You should also get a free clear file with the order (for spending more than 5,000 yen on an order that includes at least one Autumn-Winter new item). If it's optional, please elect to have it, as I really want it. N-Forza you're one the swellest guys I know, I hope to do further business with you! - Try to write down either the circle's name or the booth location (preferably both) for each item. If you can't read enough Japanese to figure it out, just post links with the info. - INCLUDE YOUR USER NAME IN THE PAYMENT INFO AND MAKE SURE YOUR SHIPPING INFO IS UP-TO-DATE. - I will default to unregistered (no tracking) air mail unless requested others (adding tracking is generally another 500 yen). If sending as a small packet, I can also do SAL (both unregistered and registered with the same cost addition) which is slower but cheaper. If as a larger packet, EMS is fastest and usually the best value (especially to Europe, where the cost difference between SAL is minimal). - I have a bunch of other obligations so please do not ask for updates the day (or the week) the event ends and expect a prompt reply. I will do my best to contact everyone with updates once everything is sorted out. I am willing to accommodate for special circumstances if possible so don't hesitate to ask questions. Also, the promotional card offered for each purchase please. I'd like to make a request for c95! If this is a group with more things from this same series, then it might be more than the fanbook. I can't understand it too well. Hi!!! I'd like to request two books, "YearBook" and "Picture Diary"
Also, can I request two of each? The additional copies is for my friend. I'd also like to include tracking for the delivery. Thanks so much!! !